As of 2014, the World Bank statistics for child mortality showed that for every thousand live births, 32 children died before the age of one, in the South American country of Bolivia. This is over 5 times higher than that of the US and an astonishing 8 times higher than the mortality rate in the UK. These statistics serve as an indicator of how this country is struggling to cope with the demand of paediatric care. 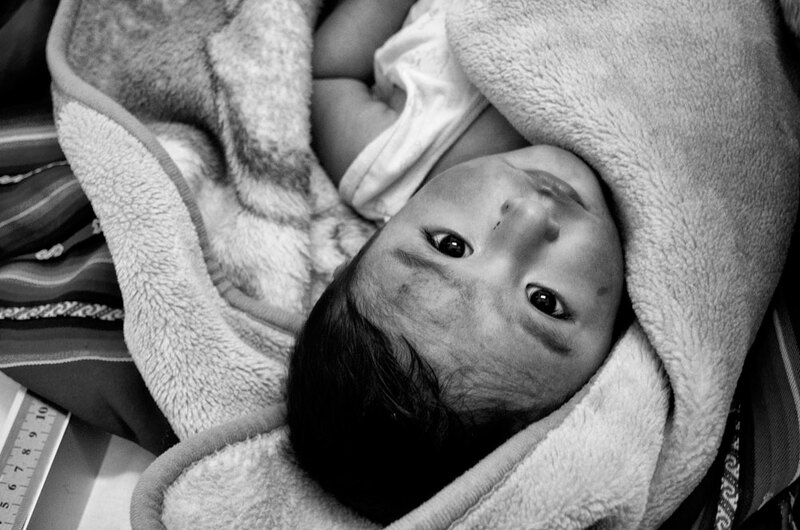 Many factors contribute to the state of children’s health in Bolivia, from geographical location to high percentages of the nation living in poverty. 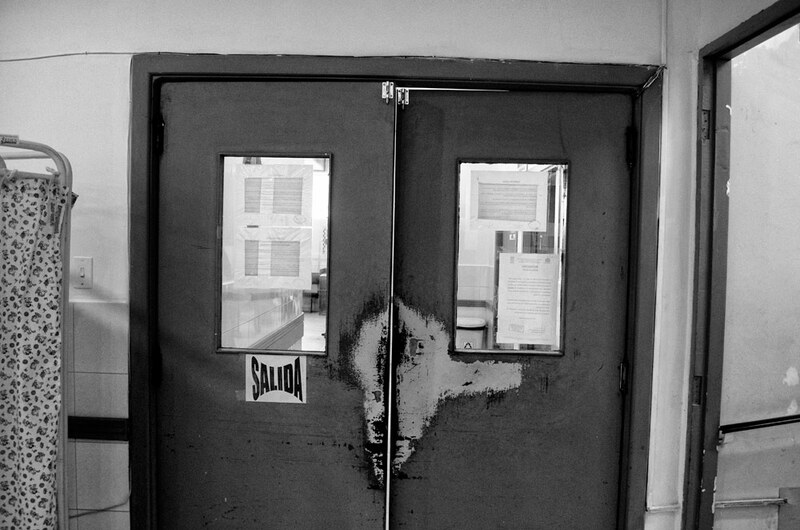 Working alongside the AAVia Foundation these images explore the issues faced daily by Bolivian children, parents and medical professionals in La Paz’s hospitals. The mother of premature twins cradles her daughter while a nurse bathes her son at Hospital Juan XXIII. The hospital sits on the outskirts of La Paz, close to the adjacent city of El Alto in one of the lowest income neighbourhoods surrounding La Paz. 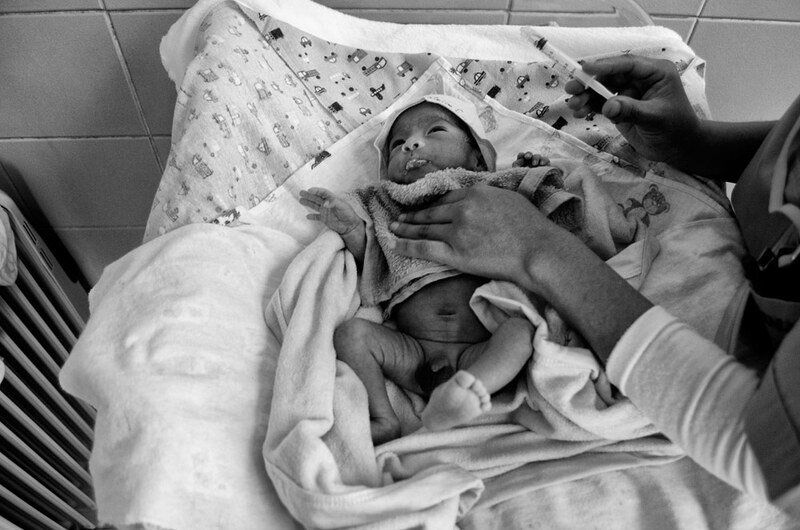 Similarly to healthcare professionals in the UK, the doctors and nurses of La Paz hospitals actively encourage parents to immunise their newborns and toddlers. However, with the cost of immunisation left to parents often surviving on low incomes, many go without basic vaccinations. Over 30% of Bolivia’s population live in rural areas. 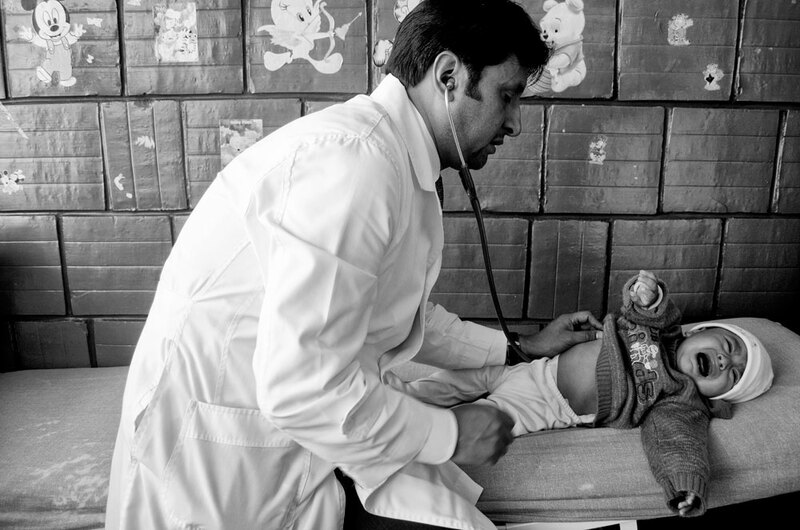 In these communities health care services are often limited. Those that are available are often ill-equipped, short staffed or requiring a great deal of funding to maintain. Dr Hector Mejia examines a youngster at a drop-in clinic. He studied medicine in La Paz and also undertook specialised courses within his field in Chile, Italy and New York. After qualifying, Dr Mejia also worked for ten years for Unicef. 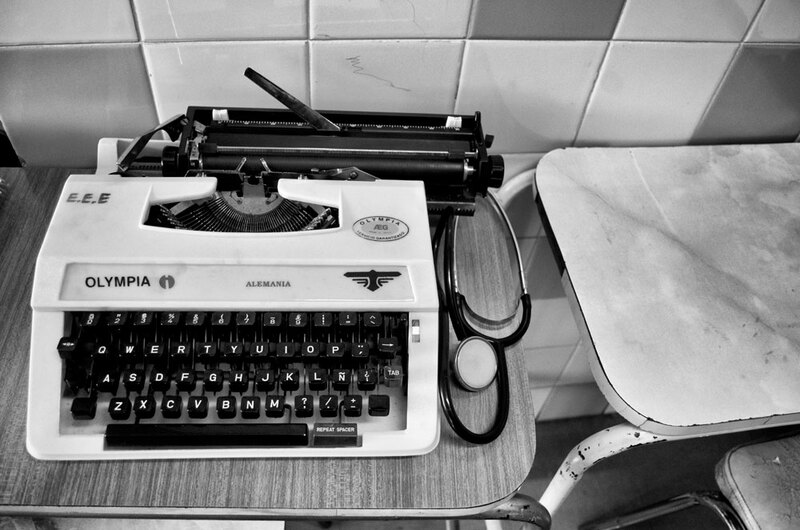 With few computers in the city’s hospitals, many patient notes are typed up on old fashioned typewriters. With many hospitals struggling to find funding for basic medical supplies and equipment, computerised technologies take second priority. 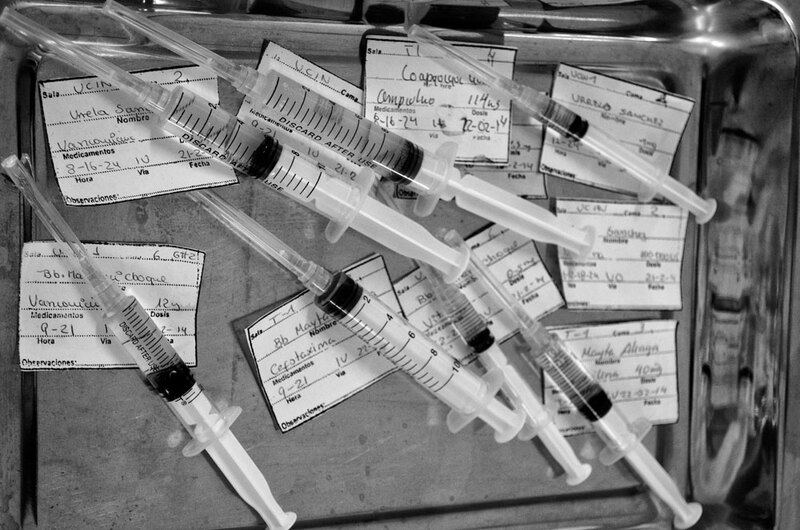 Syringes are prepared for administration on the infant’s intensive care unit. 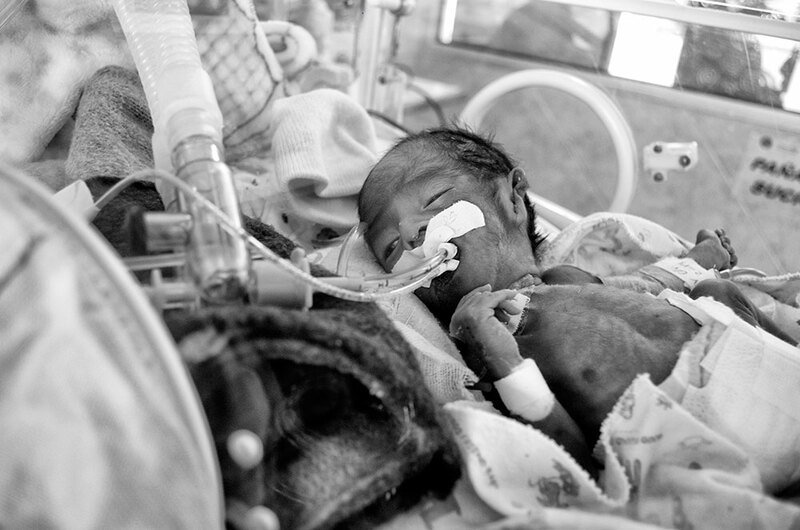 Many of the children on this ward were born prematurely or with abnormalities and are under constant monitoring and a strict regimen of care. 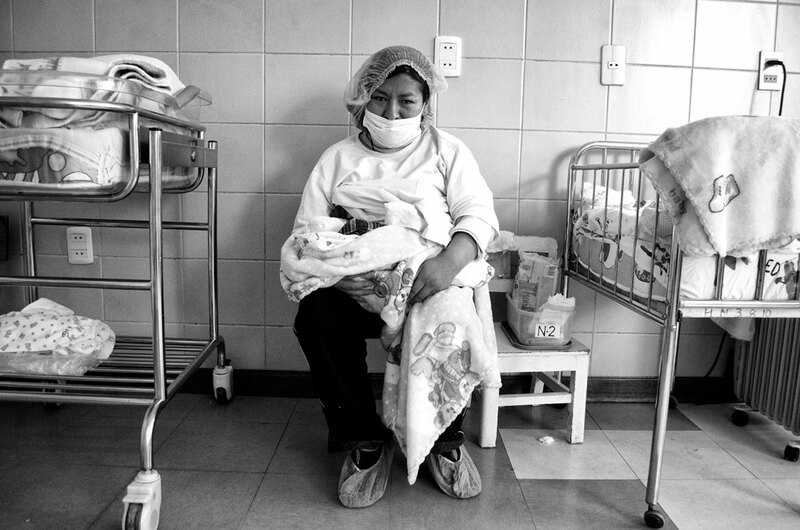 According to the FSD (Federation for Sustainable Development), 27% of Bolivian women of childbearing age suffer from severe Anaemia, which is likely to be passed onto the child during pregnancy. 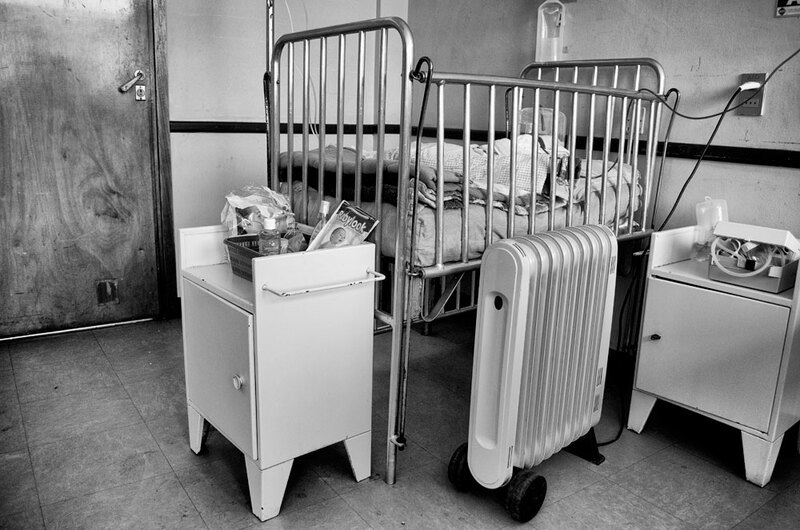 In order to regulate this child’s temperature, a portable radiator is set up next to the cot. Constant monitoring will be required to evaluate the effect of this method. 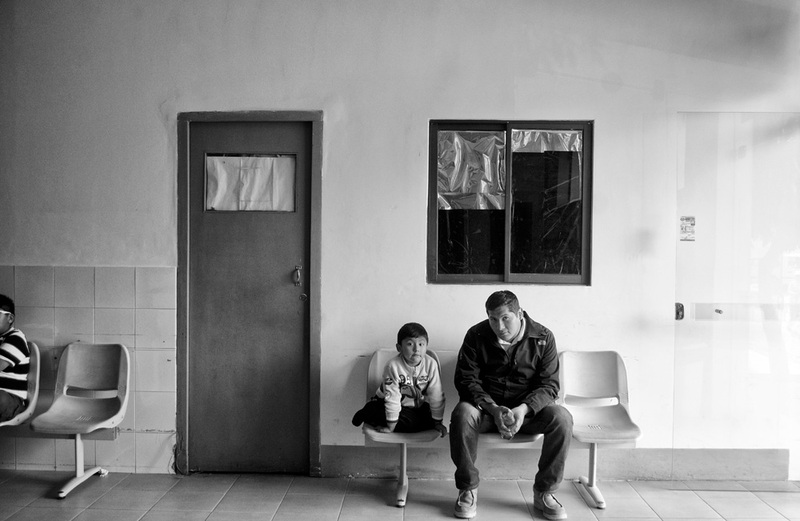 Father and son sit in Hospital Del Niño’s Emergency Department. In recent years there has been an emphasis on educating parents, especially first time parents, on the care of their children. This ranges from nutritional advice to information on what healthcare services are available to them. Iron deficiencies, outlined as an increasing issue amongst Bolivian mothers, have been linked to an increased risk of premature delivery and a lower birth weight. 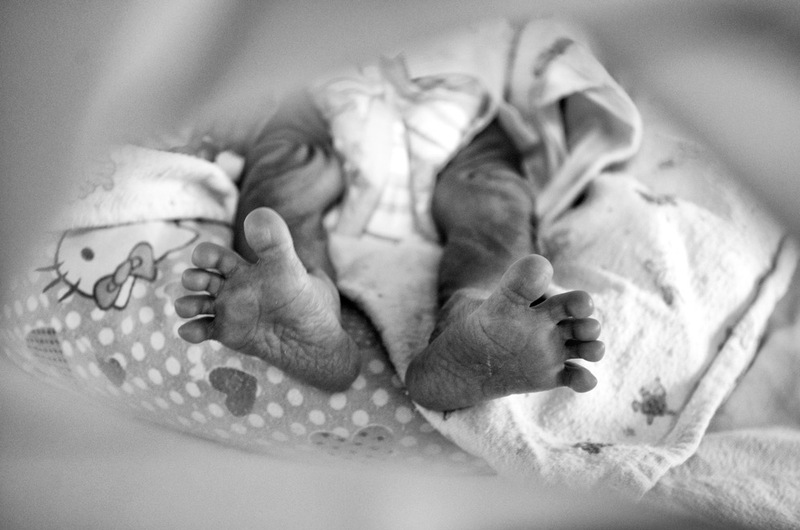 Such deficiencies during pregnancy have also been associated with a higher risk of stillborn and newborn deaths. 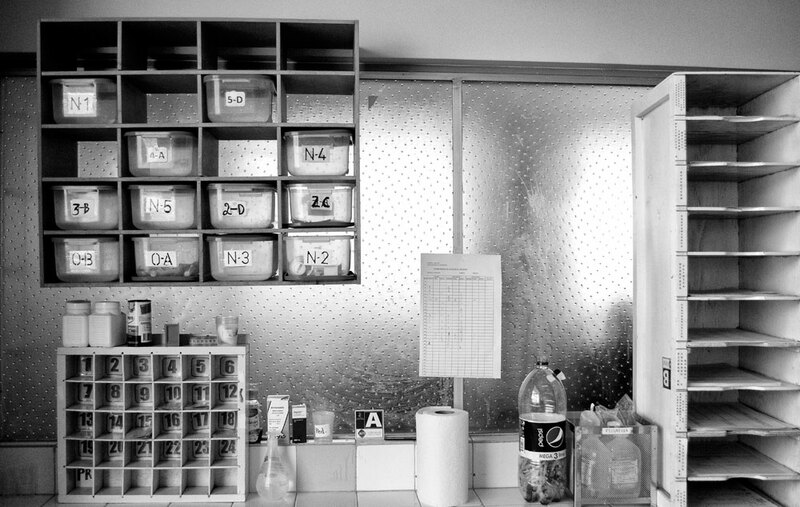 Basics, such as a sharps bin (a container designed specifically for safely disposing of used needles and sharp instruments) is replaced by a large ‘Pepsi’ bottle on this Bolivian Nurse’s Station. 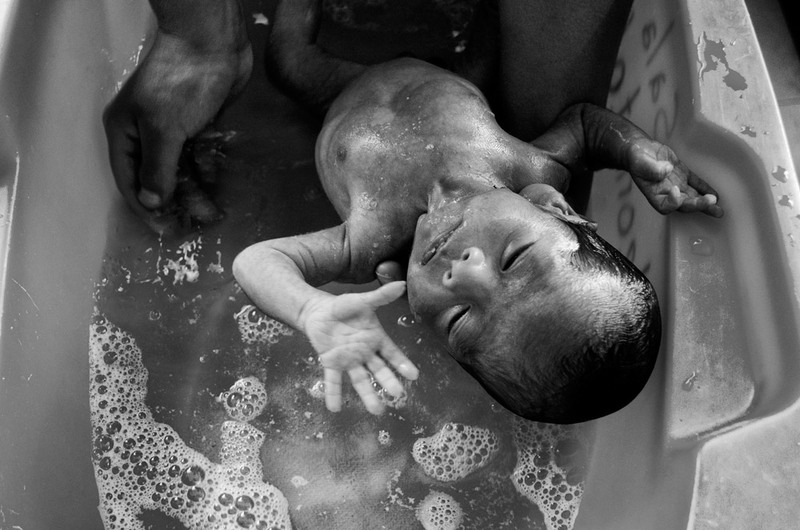 A premature child is bathed at Hospital Juan XXIII. Despite the lack of resources often faced by the medical staff at the hospital, their care and devotion is evident.